Download on Barnes and Noble.com; Kobo.com (now includes sony Readers) and on Google Play. Search William J. Conaway. Adventure and Ecotourism in the Copper Canyon – A 38 page coffee table style guide book with the history, accommodations, and tours of the entire Copper Canyon System located in the State of Chihuahua. Lots of full-color pictures and Driving Adventures down into the depths of the Urique and Batopilas Canyons. AE – 105 – $16.50 Plus $7.95 International Shipping & Handling. Order by email: wjconaway@yahoo.com, or download from Barnes andNoble.com; Kobo.com; or Google Play for a considerable discount. Tags: Adventure, Copper Canyon, Copper Canyon System, Ecotourism, Mexico, William J. Conaway. An Excerpt from my, “Adventure and Ecotourism in the Copper Canyon”. 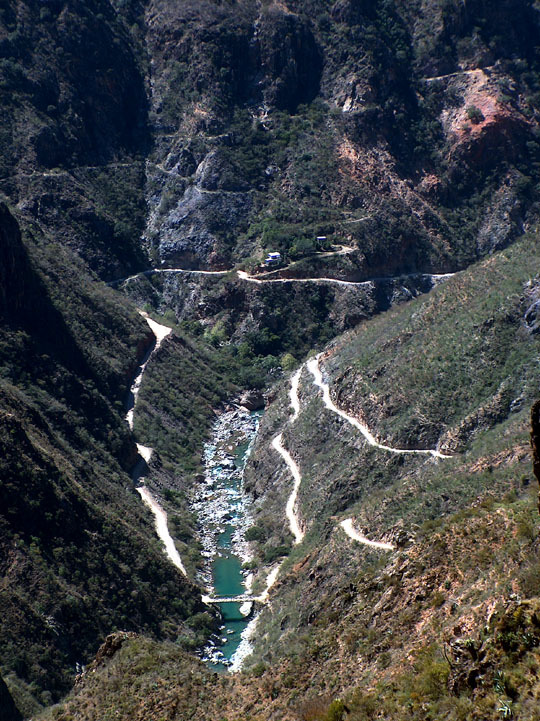 A visit to the Copper Canyon system can be accomplished in a safe, easy manner utilizing the Chihuahua-Pacifico railway system and guided tours, or as an tough, arduous Adventure. In this book we’ll give you information on both. 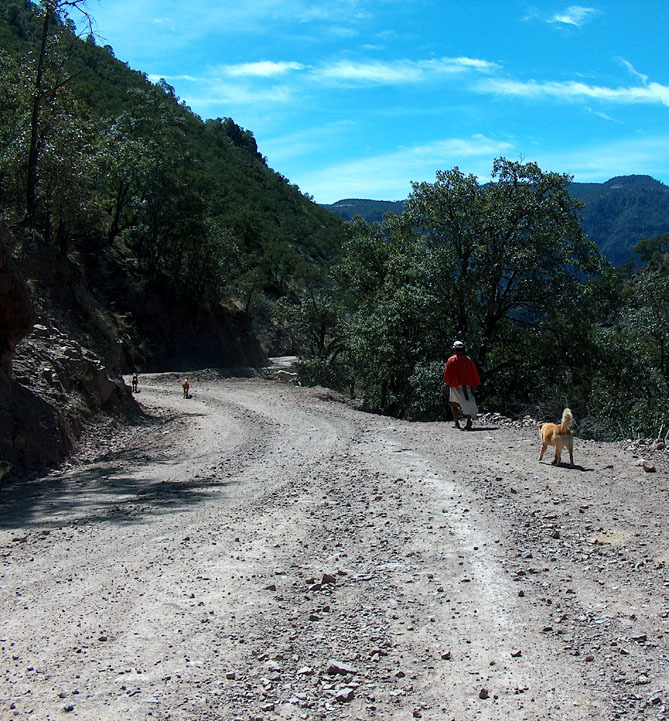 Getting there is as easy as a trip to the capital city of the state of Chihuahua. From there you may board the train, affectionately know as, “Chepe,” or continue driving west on Hwy. 16. The highway was being widened at this writing so by the time you go it should be in great shape. You’ll drive 167 kilometers, 100 miles, through the southern portion of the city of Cuahtémoc, past the town of Adolfo López Mateos, to the turn off for Creel, which is thankfully well marked, at the junction of Tónachic . 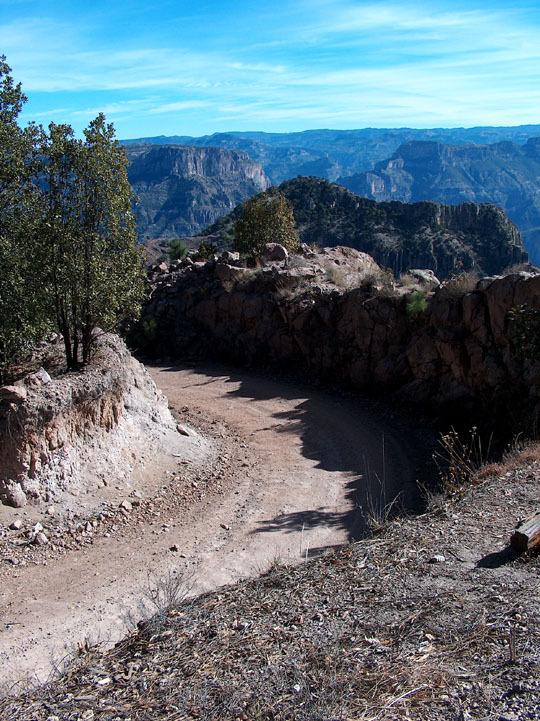 You drive this narrow winding road 90 kilometers, 54 miles to the town of Creel. Arriving at Creel you drive along the railroad tracks all the way past the town, and at the exit you turn left, come back around, and you’re in downtown Creel. This one, two way street has most of the good hotels on it except for the Hotel Villa Mexicana which is just after the aforementioned exit of town at the junction to Divisadero/Urique and Batopilas. Creel is a small town with plenty of hotels of all price ranges, a few good restaurants, and one bank. Use a credit card for your accomodations (make sure they accept it), and reserve your cash for eating out and shopping. Be sure to have lots of small bills. A Tarahumara woman I encountered would only accept the exact change for her handicrafts. 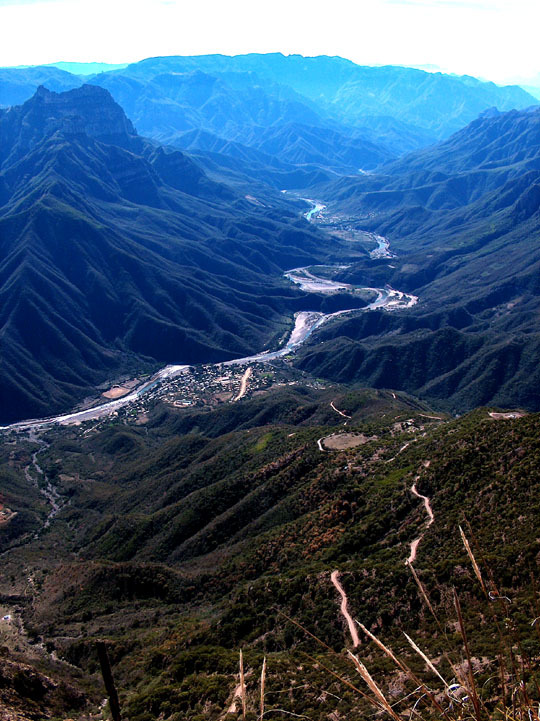 The Copper Canyon is the English name given to a 38,000 sq. 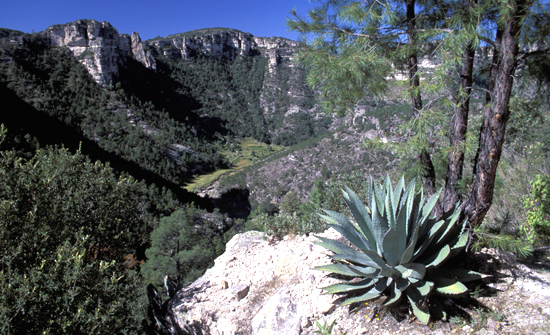 mile network of huge canyons in the steepest part of the Sierra Tarahumara. 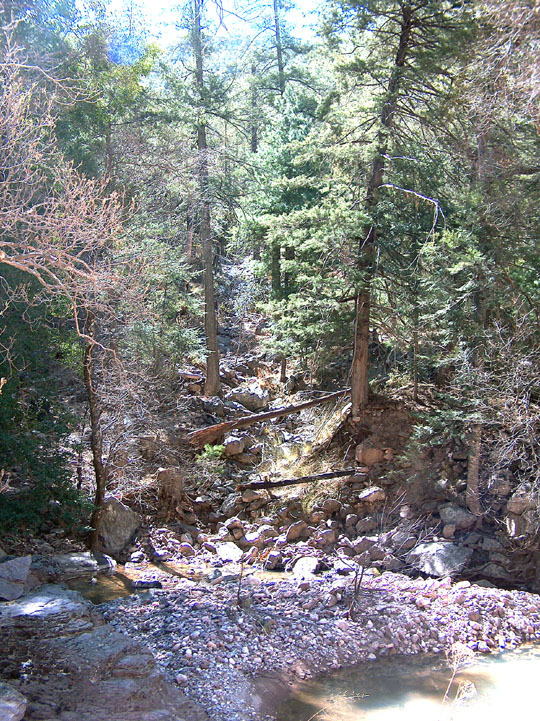 In Spanish it is known as La Barranca del Cobre, and its major canyons include Urique (6,106 feet deep), Sinforosa (5,948 ft.), Batopilas (5,850 ft.), Candameña (5,688 ft.), Río Mayo (5,460 ft.), Huápoca (5,265 ft.), Chínipas (5,200 ft.), Septentrión (5,200 ft.) and Oteros (4,940 ft.), to mention only the deepest, which are all deeper than the famous Grand Canyon. 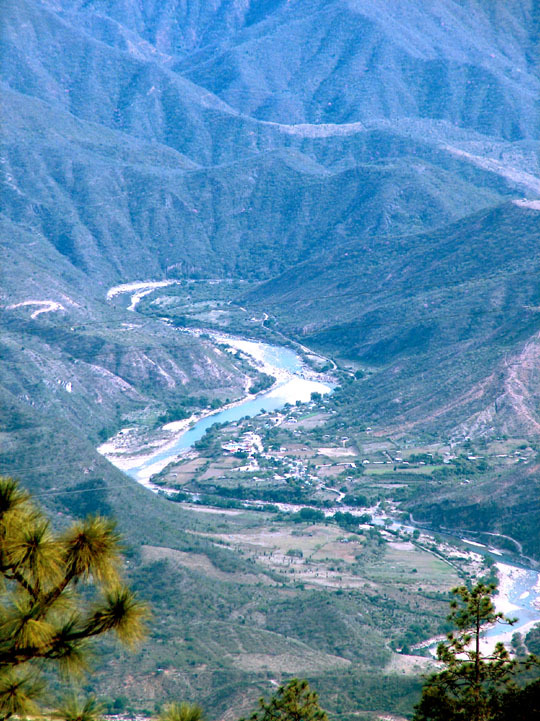 The system is named after the Copper Canyon, a branch of the Urique Canyon, (4,225 ft.) which became famous for its mines. Differences in altitude in a space of just a few miles create significant variations in climate. There may be snow on the high tablelands of the canyons while at the bottom it has remained warm. The solitary Tarhumara Indians still winter, in caves, at the bottom huddeling together for warmth. In the spring they go off separately, to their cabins perched high among the peaks. Shifting of the tectonic plates produced the entire Western Sierra Madre, with its deep cracks along which the rivers flowed, finishing the creation the magnificent canyons we can see today. Tags: Canyon, Copper Canyon, Creel, driving adventures, Mexico, William J. Conaway. Tags: Adventure, Adventure Mexico, Copper Canyon, Copper Canyon System, Ecotourism, William J. Conaway. An Exerpt from my, “Adventure and Ecotourism in the Copper Canyon”. Tags: Adventure Mexico, Canyon, Copper Canyon, Creel, history of mexico, William J. Conaway. 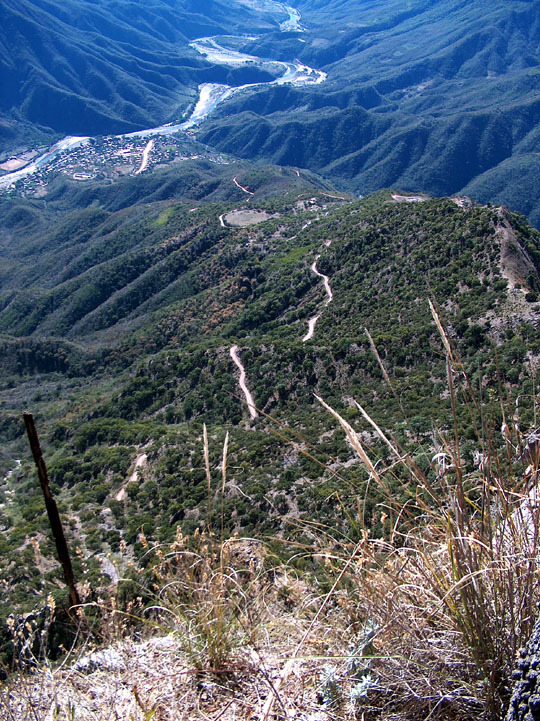 Adventure and Ecotourism in the Copper Canyon – A 38 page coffee table style guide book with the history, accommodations, and tours of the entire Copper Canyon System located in the State of Chihuahua. 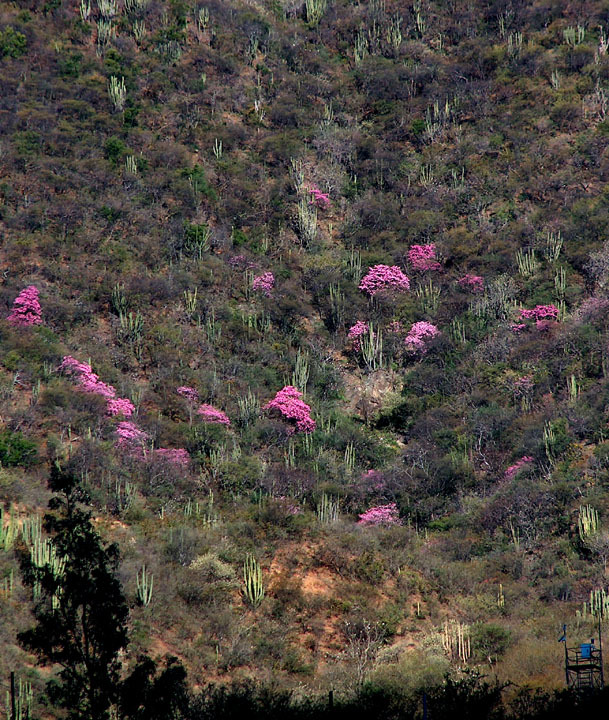 Lots of full-color pictures and Driving Adventures down into the depths of the Urique and Batopilas Canyons. AE – 105 – $16.50 Plus $7.95 International Shipping & Handling. Order by email: wjconaway@yahoo.com, or download from Barnes and Noble.com; Kobo.com; or Google Play for a considerable discount.